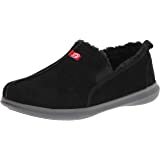 These fit my shoe well, and were very comfortable from the start! Addendum: love, loved my first pair so much, I just bought my second pair so I am never without them. I'm 5'10, 190 lbs, very fit, 57 year old man who will be buying several more pair of these Samurai's for all my shoes! PAINFUL, FLAT FEET? FALLEN arches? SKIP THE PRICEY $500 INSOLES: As a LEADING PODIATRIST (with flat feet!) 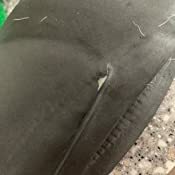 I realize that MOST SHOE INSERTS have “PROBLEMS”. They require cutting or have rock-hard arch support that radiates pain up your legs. That’s why I assembled a "DREAM TEAM" of INDUSTRY LEADERS to BIOMECHANICALLY ENGINEER Samurai Insoles! 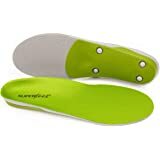 THEY COMBINE the BEST BENEFITS of ARCH SUPPORT INSOLES & CUSTOM ORTHOTICS, for 1/10th the investment! 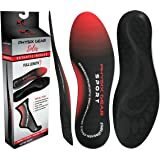 PODIATRIST DESIGNED ARCH SUPPORT SHOE INSERT, PROVEN BY 1,000+ REVIEWS – FIX FOOT PAIN AT THE ROOT: If you’re tired of foot conditions limiting your mobility, then you’ll love how Samurai Insoles GENTLY CORRECT the OVERPRONATION associated with LOW or FALLEN ARCHES and provide a CLOUD-LIKE PILLOW of SUPPORT for flat feet for QUICK RELIEF from plantar fasciitis and heel pain, especially if you're someone who can't tolerate rigid orthotic inserts. INSTANT PAIN RELIEF, GUARANTEED? YES! AND CUSTOMERS AGREE, “They just work”. Because we geek out about fixing foot pain, we could talk endlessly about WHY these are the best MEDICAL GRADE inserts we’ve ever ENGINEERED for my patients, in a STATE-of-the-ART ORTHOTIC LABORATORY right here in the USA. But you want A SOLUTION, NOT A STORY so we’ll just tell you to TRY THEM RISK FREE. Let us PROVE they’ll RELIEVE YOUR PAIN and leave your FEET FEELING AMAZING. Or your money back! Samurai Insoles Ninjas Orthotic Inserts. 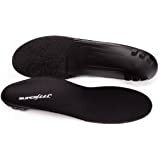 Plantar Fasciitis Inserts, Flat Feet - Relief Guaranteed! Made in The USA! 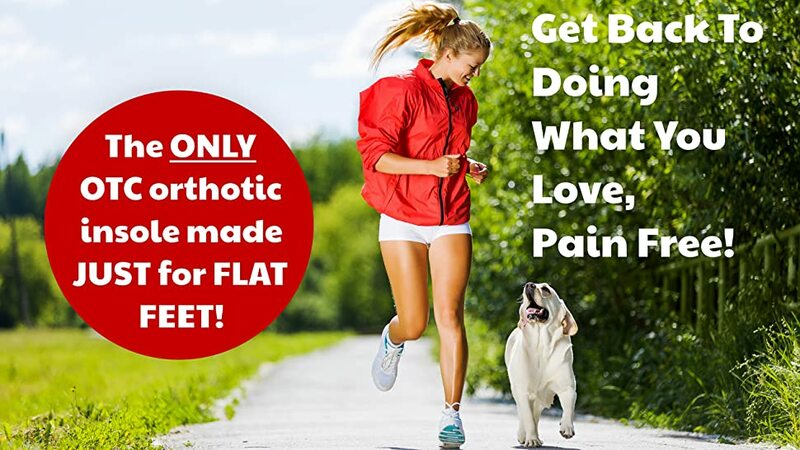 Don’t Live with Sore, Flat Feet Any More! 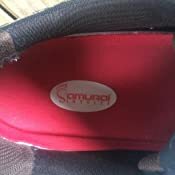 PODIATRIST DESIGNED: Samurai Insoles were designed by a leading podiatrist to address the root causes of tired, flat feet. MOVE WITH YOUR FEET: Unlike most shoe inserts, Samurai Insoles feature a springy molded inner core that provides the perfect amount of support in all of the right places. 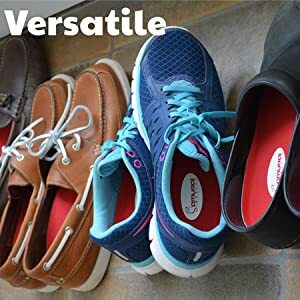 LOW-PROFILE, LIGHTWEIGHT: You get the all-day comfort you deserve in a pair of low-profile, wear-anywhere orthotic insoles that will fit perfectly in your shoes. USA MADE ORTHOTIC LAB PRECISION: We’ve crafted our Samurai Insoles with orthotic laboratory precision to fit YOUR foot size – not a size range. THEY FIT! That means that there’s no cutting, trimming, stuffing, or jamming Samurai Insoles into your shoes. As you’ve likely heard, I’m a podiatrist, yet I’m ALSO a CUSTOMER. Like millions of others, I HAVE FLAT FEET. 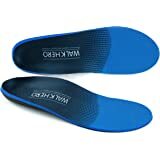 I used to buy big ticket custom-made orthotics. While they were okay, I felt I could do better. So I put together a team of engineers to BIOMECHANICALLY DESIGN arch-supporting inserts that OPTIMIZE the FUNCTION of your FEET and LEGS. 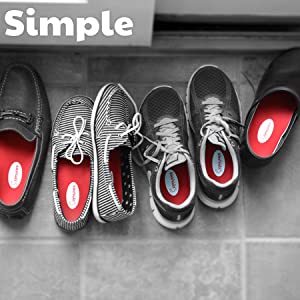 I swear by these; as do my patients, who breathe a huge sigh of relief when they see just how simple comfort can be, and I know you will too from the moment you slip them into your shoes. 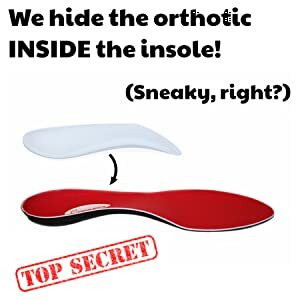 We believe Orthotics should be... UNCOMPLICATED. SIMPLE. Dare we say, FUN? And they shouldn’t force you to go shoe shopping, just to get the perfect fit! (Although we certainly enjoy it more now that we can wear just about any type of shoe). 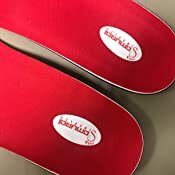 Samurai Insoles were such a hit with OUR PATIENTS, we couldn't keep them a secret ANY LONGER. See for yourself, try a pair TODAY! I have flat feet. Had since I remember myself. Walking for more than 15 minutes usually causes very significant discomfort and pain in my feet. During meetings or in public transport I have to stand for an hour or more. For sometime I thought everyone feels like that. But most people just keep walking and me being ashamed for slowing everyone have to bite my lip and keep walking through pain. I decided to give these a chance. 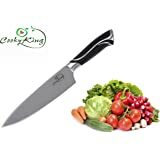 Never used anything like this before so decided to invest significant money (more than $15). Fits as expected. I tried in couple different shoes and both fit and felt comfortable. Pretty good! First time during a stand meeting (about 40 min) I felt comfortable standing whole time. Only when the meeting was over I realized that I didn't even think about chair. Impressive result for me! We had trip to Las Vegas where we decided to walk 2-3 days. Pain and discomfort got reduced for 70-80%. Very satisfied with result. I am ordered another pair. 4.0 out of 5 starsQuality Insoles -- almost as comfortable as the custom-fit insoles from my podiatrist. These Samurai Insoles are almost as comfortable as my very expensive personally crafted insoles from my podiatrist. Last year I found out that I had a flat left foot. 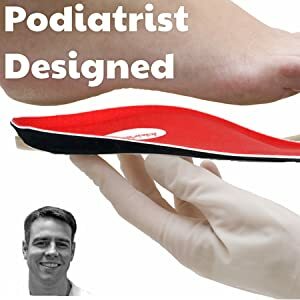 After months of physical therapy and getting a rolling cart to carry my laptop and books, I began to heal and got my fancy podiatrist's insoles. I had to switch them daily to different shoes. Now with these Samurai insoles, I can get almost the same support and keep the insoles in the different shoes I have (I bought 2). 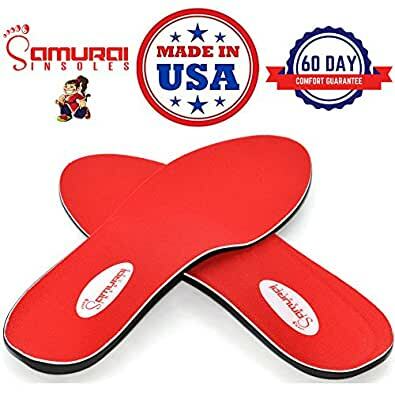 If I occasionally do some of my PT foot exercises, these Samurai insoles do just fine -- and I walk about 4-5,000 steps per day on the job. They look like they are made with similar materials as my those from my podiatrist, but at a fraction of the cost. I'm pleased. Four stars because they are not custom-fit, but still I am impressed with the quality and level of comfort Samurai Insoles supply. 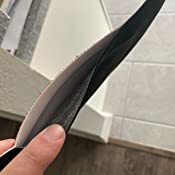 5.0 out of 5 starsSmall insoles but a huge difference! I am plagued by flat feet and work 8 hours a day on my feet, so at the end of my shift i am feeling unbearable pain from my feet. With these insoles inserted i can barely feel any fatigue in my feet. Its a pretty simple design as well, all it does is give my mishaped feet the support it needs and im happy with them. Bought them for my dad who suffers from PF and has for years. He would complain about "burning" pain in his heels and he would say that on the car ride home his heels would ache so bad, he could barely keep his foot on the gas. So he put these in his work boots (he's on his feet all day) and not a PEEP since. He said he hasn't had a single heel ache from the first day he wore them. He transfers them from shoe to shoe -- I'll be buying another pair soon. I'm so happy to hear they're making such a difference in his every day life. Well, I was definitely skeptical at first. The instep looked too high...and my feet are killing me. By the end of the day, i feel like the bones will simply collapse or crack apart. The instructions advise breaking in to these, wearing about an hour the first day, and gradually increasing that over a span of time. I forgot to take my old inserts to work with me, so I had to wear them all day (almost 9 hours). I have a standing desk and I seldom sit or take the load off my feet. I was amazed at how good my feet felt at the end fo the day, compared to the way they normally feel. I'll be getting these again, for sure. I also tried the Powerstep Pinnacle orthotics. They are a bit too high at the instep for me, and my feet were in a lot of pain by the end of the day (not as much as wearing the original inserts that came with my shoes, but still way more than I feel after wearing Samurai Insoles all day.